A number of ancient artefacts dating back to first millennium BCE have been seized from smugglers in Iran’s northern province of Mazandaran, a cultural heritage official announced. 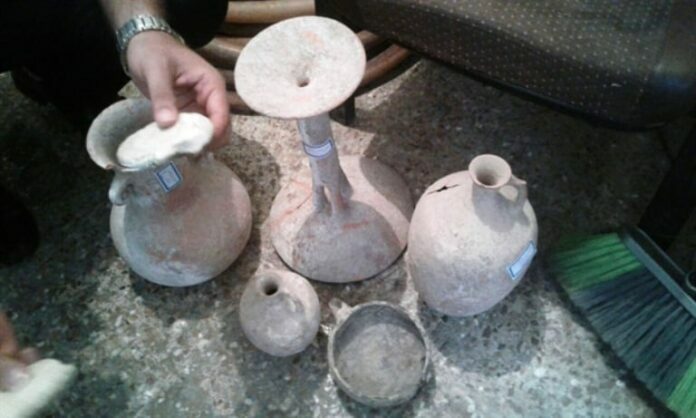 Brigadier General Amir Rahmatollahi, the commander of the protection unit of Iran’s Cultural Heritage, Handicrafts and Tourism Organization, told IRNA that the artefacts were seized by ICHTO forces who acted on information received from people in Behshahr County. Rahmatollahi said nine artefacts including earthenware jugs were found in two separate operations. The commander said the smugglers will be put to trial in the near future.